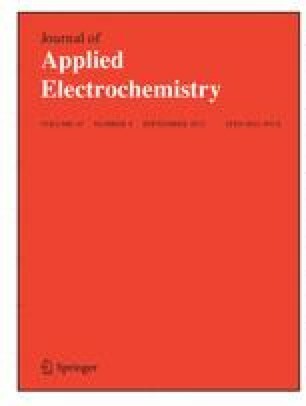 It has been demonstrated that linear sweep voltammetry can be used as anin situ technique for characterization of electrodeposited thin layers of binary alloys. The anodic dissolution characteristics of linear sweep voltammograms are very sensitive to the type of electrodeposited alloy. If both metals do not passivate in the investigated solution, eutectic type alloys are characterized by two sharp dissolution peaks, indicating no miscibility between components in the solid phase. From the ideal solid solutions, components of the alloy dissolve simultnaeously, while in the case of intermediate phases and intermetallic compounds each phase, or compound, has its own peak of dissolution.